What are the major economic and social trends in Africa? What is Africa’s role in globalisation? This new annual report presents an Africa open to the world and towards the future. Africa's Development Dynamics uses the lessons learned in the five African regions – Central, East, North, Southern and West Africa – to develop recommendations and share good practices. The report identifies innovative policies and offers practical policy recommendations, adapted to the specificities of African economies.Drawing on the most recent available statistics, this analysis of development dynamics aims to help African leaders reach the targets of the African Union’s Agenda 2063 at all levels: continental, regional, and national. Every year this report will focus on one strategic theme. This first edition explores the dynamics of growth, jobs, and inequalities. 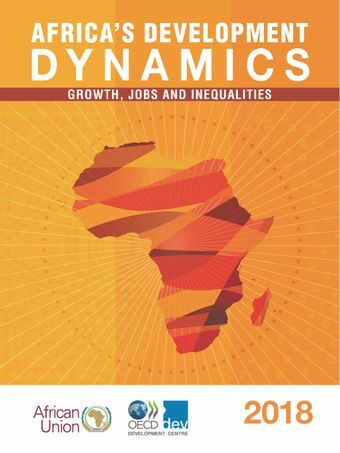 It proposes ten decisive actions to promote sustainable economic and social development and to strengthen institutions in Africa.This volume also feeds into a policy debate between African Union’s nations, citizens, entrepreneurs and researchers. It aims to be part of a new co-operation between countries and regions focused on mutual learning and the preservation of common goods. This report is the result of a partnership between the African Union Commission and the OECD Development Centre. The report was launched on Wednesday, 11 July 2018, at the African Union Commission (AUC) Headquarters in Addis Ababa, Ethiopia.